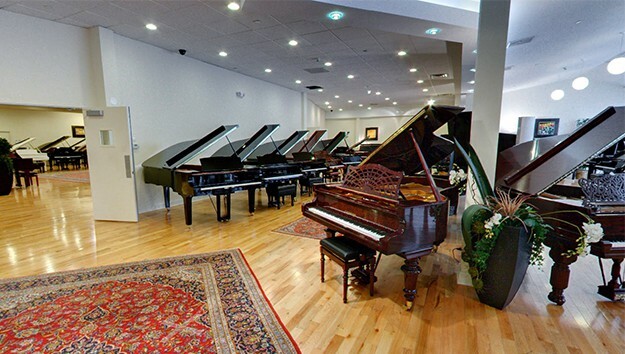 We carry the largest selection of Bosendorfer pianos in the country. 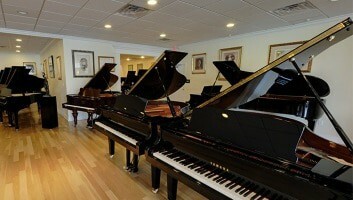 We are the region’s only authorized Bosendorfer piano dealer. Rich in tradition, famous for its intricate hand-craftsmanship and for the unmistakably inspiring sound of its pianos, Bösendorfer has been refining the art of Viennese piano-making since 1828. 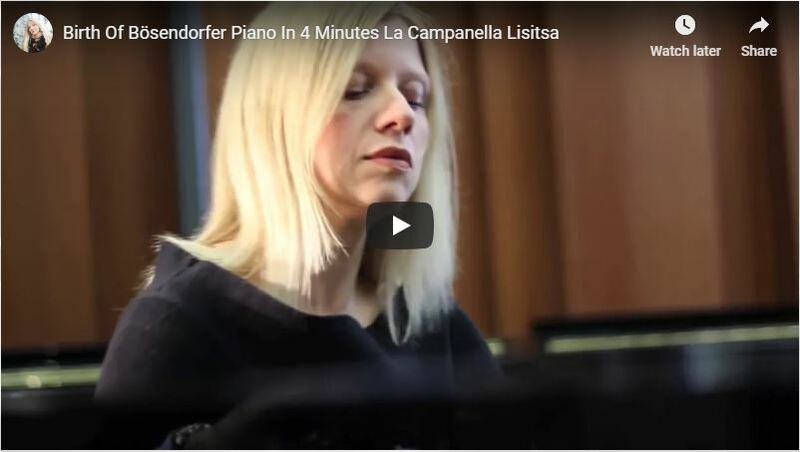 Bosendorfer is one of the oldest piano companies in the world, and also one of the most exclusive, making only a few hundred instruments each year. Each piano is handcrafted in Austria by expert craftsmen, whose skills have been painstakingly passed down from generation to generation. 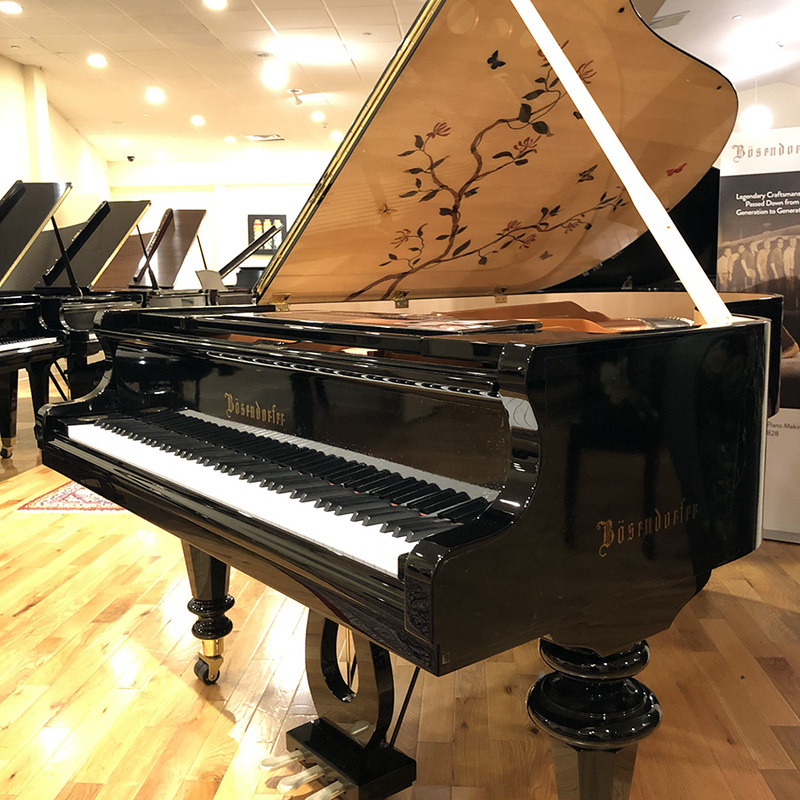 Bösendorfer pianos are renowned for their impeccable quality, outstanding richness of tone and a pure and inspiring sound that defines the Viennese tradition. 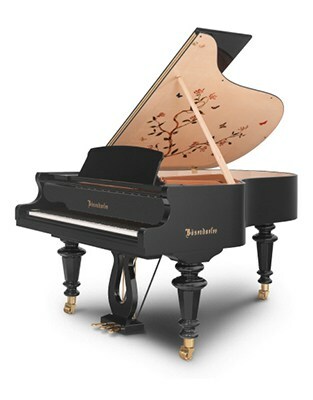 It is clear why Bosendorfer pianos are considered to be among the finest and most exclusive pianos in the world. In an age of mass production, uniformity and standardization Bösendorfer takes great pride in being exclusive and original, yet at the same time continuing the mission of Ignaz Bösendorfer and his son, Ludwig – simply to be the best. These instruments have inspired generations of musicians as diverse as Johannes Brahms, Ferruccio Busoni, Wilhelm Backhaus, Friedrich Gulda, Tori Amos and Oscar Peterson. Bosendorfer’s rich history underscores why Bösendorfer pianos are world famous for their impeccable quality, outstanding richness of tone and pure and inspiring sound that defines the Viennese tradition. Bösendorfer was founded in 1828 in Vienna, Austria, by Ignaz Bösendorfer. The young piano maker rose to fame when Franz Liszt endorsed his concert grand after being unable to destroy it in playing, as he had every other piano set before him. Ignaz died in 1858 and the Bösendorfer company was taken over by his son, Ludwig. Under Ludwig’s direction, Bösendorfer greatly prospered and the pianos became even more famous throughout Europe and the world. Ludwig, having no direct descendants, sold the firm to a friend, Carl Hutterstrasser, in 1909. Carl’s sons, Wolfgang and Alexander, became partners in 1931. 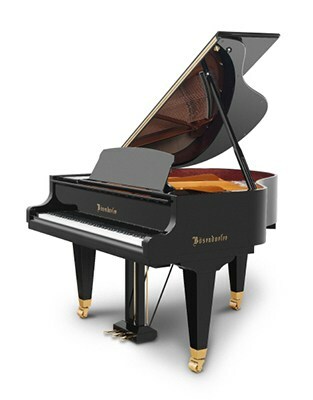 Bösendorfer was sold to Kimball International, a U.S. manufacturer of low- and medium-priced pianos, in 1966. In 2002 Kimball, having left the piano business, sold Bösendorfer to BAWAG Bank, Austria’s third largest financial institution. 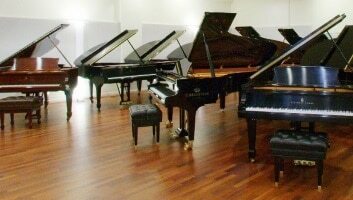 The bank encountered financial troubles unrelated to Bösendorfer and sold the piano company to Yamaha in 2008. Yamaha says it will not be making any changes to Bösendorfer’s location or methods of production, and that its sales network will continue to be separate from Yamaha’s. 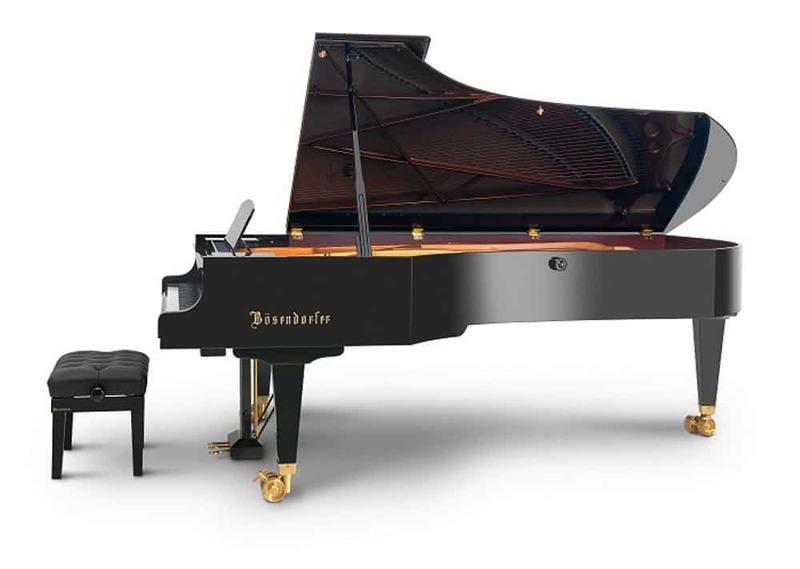 Bösendorfer manufactures fewer than 500 pianos a year, with close to half of them sold in the U.S.
One of the most distinctive features of the grands is that a couple of models have more than 88 keys. The 7′ 4″ model has 92 keys and the 9′ 6″ model has 97 keys. The lowest strings vibrate so slowly that it’s actually possible to hear the individual beats of the vibration. Piano technicians say that it is next to impossible to tune these strings by ear, although electronic tuning aids can help accomplish this. 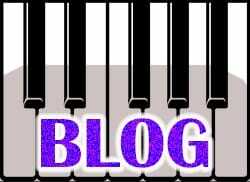 Of course, these notes are rarely used, but their presence, and the presence of the extra-long bridge and larger soundboard to accommodate them, add extra power, resonance, and clarity to the lower regular notes of the piano. In order not to confuse pianists, who rely on the normal keyboard configuration for spatial orientation while playing, the keys for these extra notes are usually covered with a black ivorine material. The rim of the Bösendorfer grand is built quite differently from those of all other grands. Instead of veneers bent around a form, the inner rim is made in solid sections of spruce and beech that are joined together. The outer rim has a solid core of quartersawn spruce that is grooved by Bösendorfer craftsmen so that it can be bent around the inner rim; after bending, the grooved sections are filled with spruce inserts. Because spruce is better at transmitting than reflecting sound, the extensive use of spruce in the rim has the effect of making the rim an acoustical extension of the soundboard, causing the entire body of the piano to resonate. This, along with the scale design, may be why Bosendorfer Pianos tend to have a more delicate treble, and a bass that features the fundamental tone more than the higher harmonics. 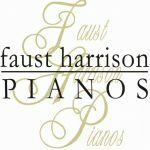 Although the stereotype that “Bösendorfers are better for Mozart than Rachmaninoff” may be an exaggeration (as evidenced by the number of performing artists who successfully use the piano in concert for a wide variety of music), the piano’s not-so-“in-your-face” sound is certainly ideally suited for the classical repertoire, in addition to whatever else it can do. In recent years Bösendorfer has made some refinements to its designs to increase tonal projection. The relatively newer 6′ 1″, 7′, and 9′ 2″ models have been designed specifically to appeal to pianists looking for a more familiar sound. 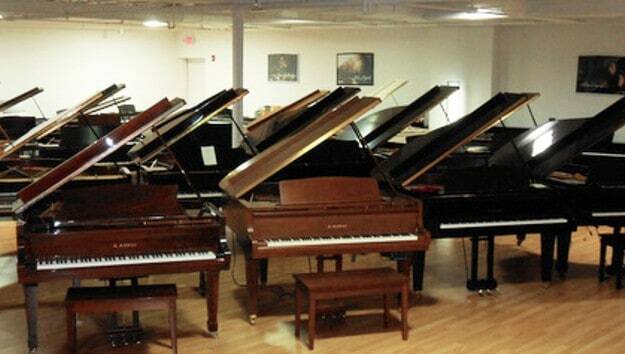 In all models, however, the distinctive Bösendorfer difference is still readily apparent.